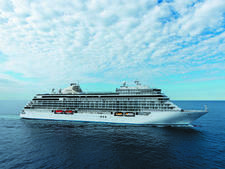 These days, the 33,000-ton, 490-passenger Seven Seas Navigator feels so elegant and contemporary that it's hard to imagine the all-suite vessel once was a Soviet research ship before it was purchased by Regent Seven Seas Cruises. Navigator might be small, but it's also incredibly spacious. Its smallest suites start at 301 square feet, large enough for uncrowded sleeping and sitting areas, walk-in closets and large bathrooms with separate bathtub and shower. The largest measure more than 1,000 square feet with enormous wraparound verandas. The ship also has a generous space-per-passenger ratio (67.3 feet of public space per passenger), so you'll rarely see crowds or queues. The size does have some drawbacks. The ship doesn't have as many dining venues as its fleetmates, and we could see how some people might feel restricted by the limited public areas on a long cruise with many sea days (like a world cruise). The ship also experiences significant motion, with some Cruise Critic readers on the Regent Seven Seas message boards reporting above-average vibration in the aft suites. 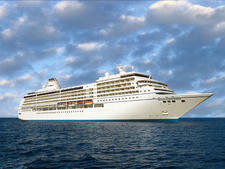 Regent's Seven Seas Navigator aims for quiet luxury. Its public spaces aren't trying to out-Vegas Vegas or wow you with over-the-top design or expense. Its suites aim to accommodate your needs without being statement pieces. 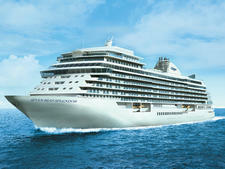 You will be pampered; fine dining, included drinks and tours, and devoted crew members will see to that. But the ship plays second to the destinations it visits -- and like its staff, it does all it can to make your trip an amazing one without calling undue attention to itself. Navigator passengers generally are 40+, affluent and quite well traveled. The average age skews older on longer, non-holiday sailings and younger during summer and holiday vacation periods, when plenty of multigenerational families come onboard. Parents should not be afraid to take well behaved, self-entertaining children onboard during these times, but the line does cater mainly to older adults. You will find many nationalities represented onboard, though North Americans dominate. 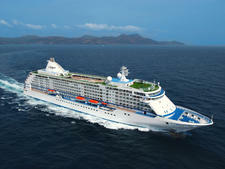 Many passengers will be veteran Regent Seven Seas cruisers, and they can often be heard comparing notes on previous experiences with the line (as well as with sailings on other upscale lines like Crystal). Cruise Critic’s professional photographers and our extraordinary community members have taken 829 pictures of Seven Seas Navigator. When you visit our photo galleries, you can be assured that what you see is what you get. The dress code is almost always elegant casual after 6 p.m. Skirts or slacks paired with blouses or sweaters, pant suits or dresses are acceptable for ladies, while men should wear slacks and collared shirts. Sport jackets and ties are optional; jeans, T-shirts, baseball caps, shorts, sneakers and bathrobes are not allowed in any public area in the evening, except on the final evening when the dress code is relaxed so passengers can pack. In addition, cruises of 16 nights or longer will have two formal optional nights, when passengers can either wear elegant casual attire or opt for a more formal look (gowns, cocktail dresses, dark suits or tuxedos). Every suite is also entitled to one account of unlimited Wi-Fi; that means one person can use the internet on one device for free at any time. If you want to have more than one person online at the same time or more than one device online at the same time, you will have to pay for additional accounts.